This is the list of emails successfully sent. Remember that by default sent emails will not be stored, use the "Store sent email" option on the first page of options for the SMTP Relay to turn this on. Double clicking an email opens in the email viewer. 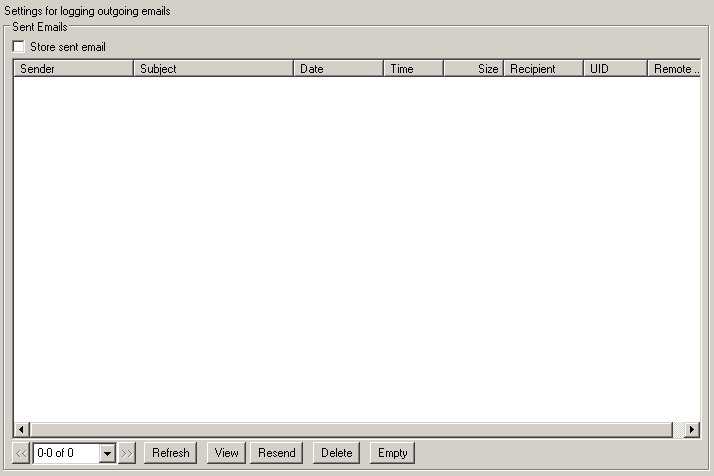 The email viewer will not execute worms, scripts or virus and is not susceptible to any such attacks. Right click one or more selected emails to choose to block the sender or delete the emails from the sent store.